sometimes you have to have something sweet. and when you gotta give in, you need something good, and fast. 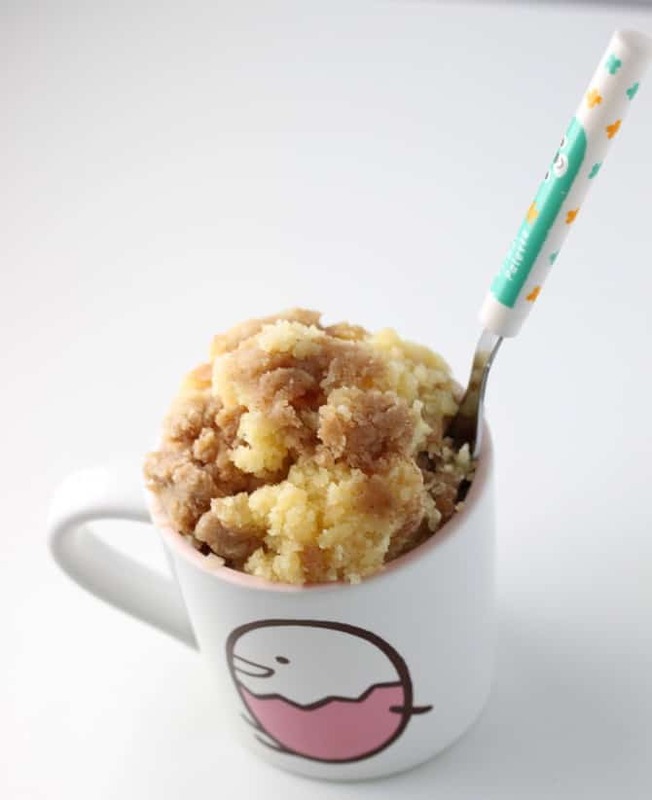 this coffee mug cake is the ticket. i shared prudent baby's picture, because, well it's just better than mine. my coffee cake looked homely, but man it hit the spot this morning. here's a link to the recipe. take a look, you won't regret it. ps. i've done the egg, and eggless version. both are good, but for a more 'cake-like' experience, go for 1/2 a scrambled egg! Sure looks tasty! If you need a good place to buy coffee from, I highly recommend coffeeforless.com!